Justin's makes the best tasting, naturally delicious nut butter. 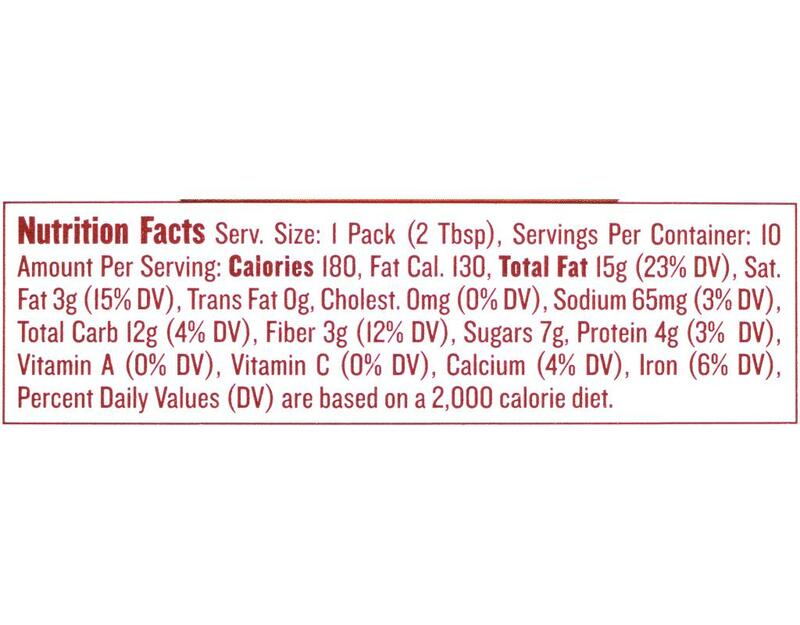 The all-natural Chocolate Hazelnut variety is gluten free, dairy free and makes a delicious protein snack. 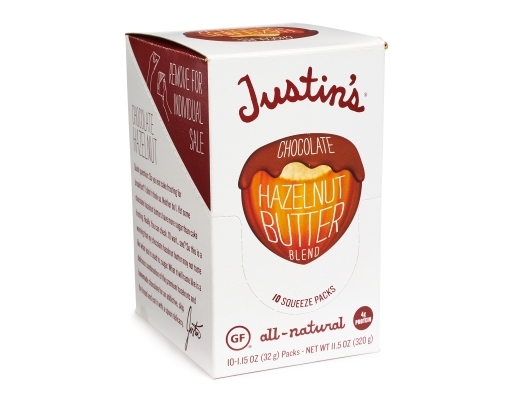 WARNING: The other guy's chocolate hazelnut butters can have more sugar than cake frosting. 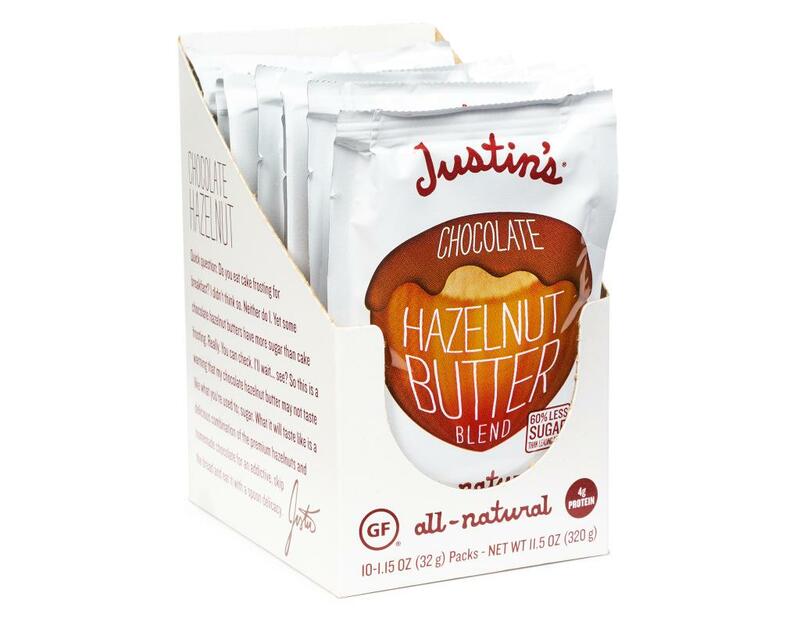 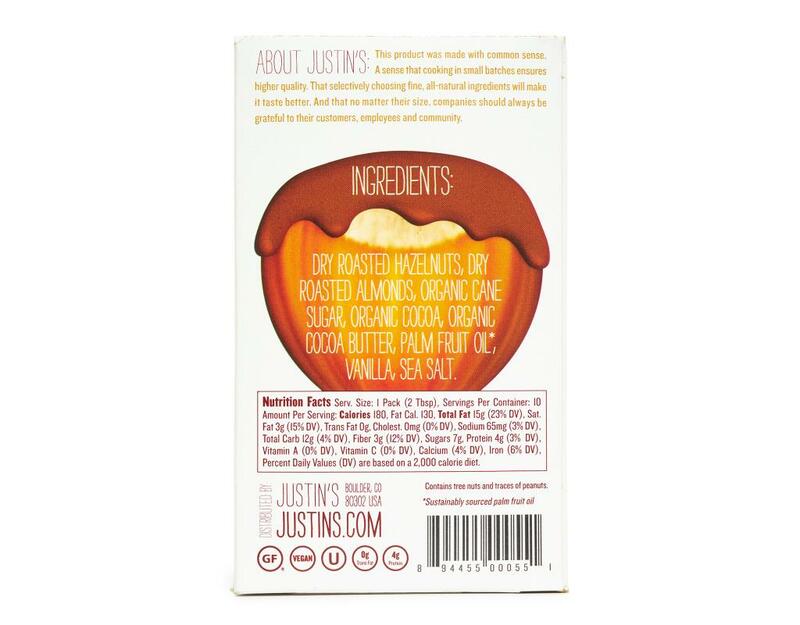 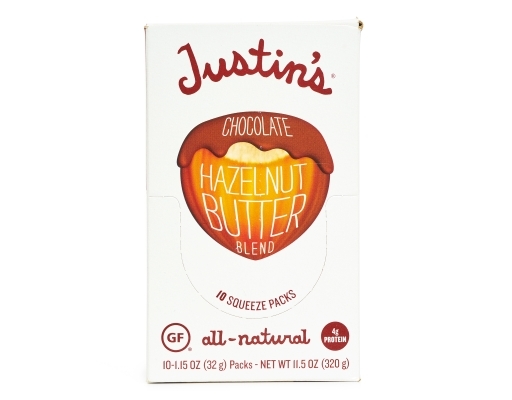 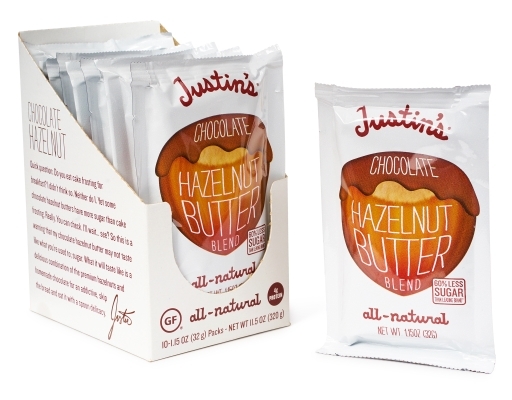 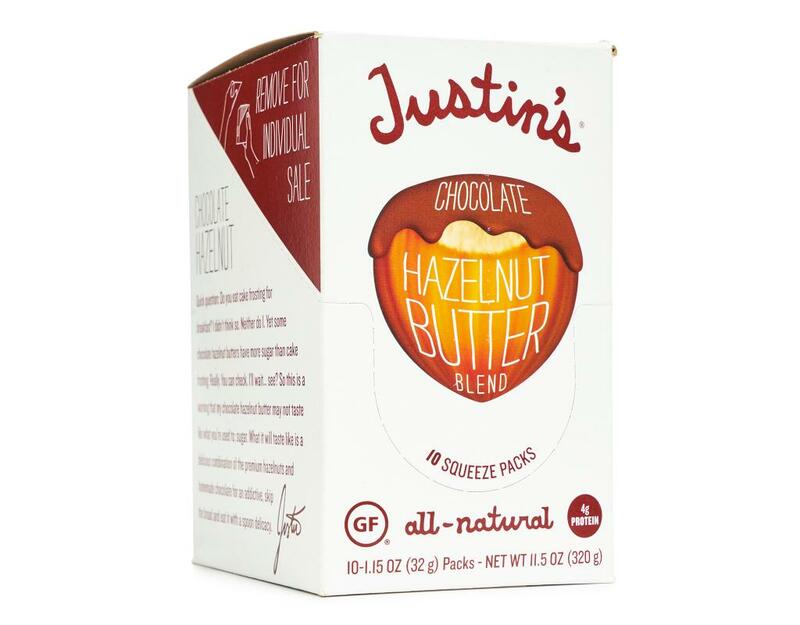 Justin's doesn't taste like sugar, but it is still a delicious combination of premium hazelnuts and organic chocolate for an addictive, skip the bread and eat it with a spoon delicacy. 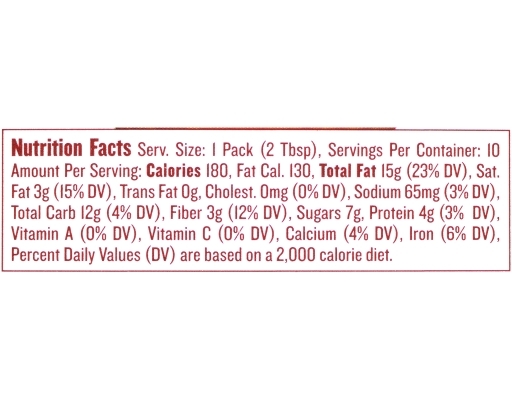 Contains tree nuts and traces of peanuts.